First of all "Wish You Happy New To Bloggers Hangout Readers". In few hours, the year 2010 come to an end with lightening New Year 2011 and many people will be starting 2011 with new resolutions. As a Blogger, I would like you to plan properly for your Blogging career. You should set your short term goals, and long term goals, and make a list of it, and put your maximum effort to achieve. Launch of new portal Techies Hangout and ready to team up with new friends. You should also make a list like this and stick it to wall, so it makes you remember the things. Create a deadline for each task and work with complete dedication. 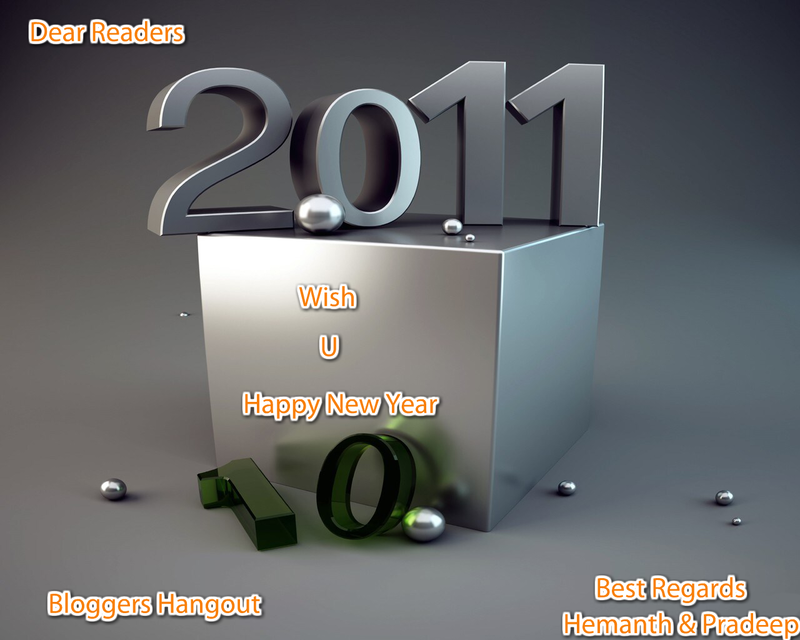 Happy New Year from BloggersHangout.